In the Autumn of 2008, I was challenged to 'do something different', to raise some money for the BBC's annual Children In Need Appeal. The challenge was for me to spend a whole week, including doing all my work, in fancy dress. (I was told that I could take it off at night!) I already had a Royal Navy Captain's uniform, originally put together for a 1940's dance night, and this was to be put to good use. During the week commencing Monday 10th November 2008, all my students, both private and in schools, were invited to make a donation to the appeal to have their lessons from my alter-ego, 'Captain Keyboard'. In addition, I picked up some other sponsorship from friends, family and various sources in the music business, and a special local collection, so it all added up to a terrific total amount over the week. In mid 2010, the same person challenged me to promote myself up a few ranks, becoming 'Admiral Andrew', with my 'Keyboard Cadets'! 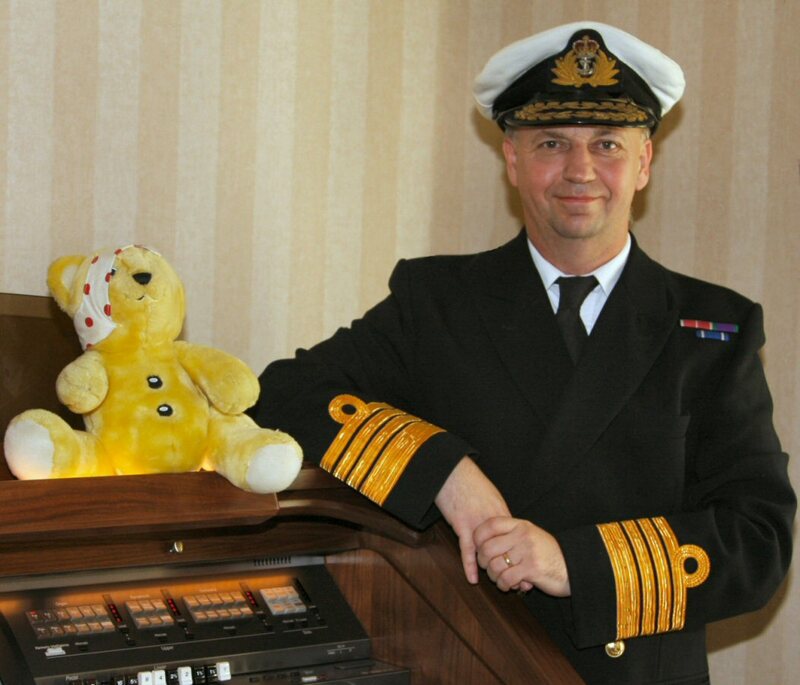 So, in November of the year, I did all of my teaching for two weeks in an admiral’s full ceremonial dress uniform, and raised several hundred pounds in the process. What’s next - First Lord of the Admiralty, perhaps? You'll find a montage of photos of the 2008 and 2010 events on the C.I.N Gallery page.